Park just a few minutes from departure for a taste of the easy life. Long Stay T2 is rated, on average, 5 out of 5 by 726 Airparks customers. 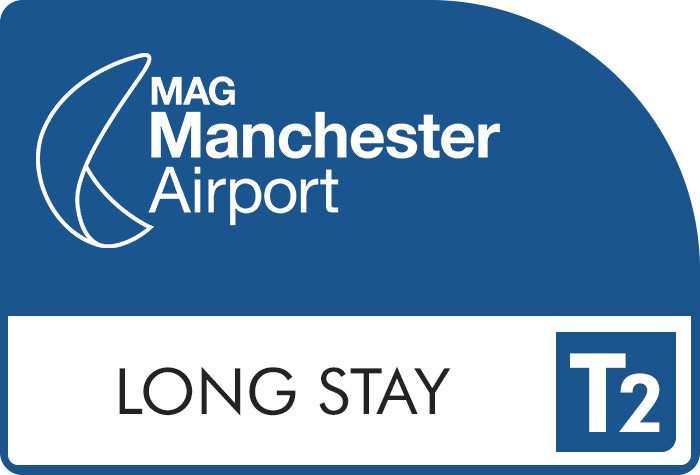 You can find the full reviews on our Long Stay T2 Manchester Airport reviews page. Important! Due to a changing infrastructure at Manchester Airport the Long Stay car parks are now closed. Don't worry though, we still offer fantastic Manchester Airport parking from the Mid Stay car parks, the JetParks car parks or treat you can treat yourself to the luxury of Meet and Greet parking. See all our deals on the Manchester Airport parking page. With this car park you'll be parking on the airport grounds and with regular buses to the terminal that run 24 hours a day you'll have no trouble getting your holiday underway. To check live pricing and availability enter your required parking dates at the top of the page and when you're ready to arrange parking at Long Stay car park you can do so through our easy online booking. You can see our full range of parking on our Manchester Parking page. Head directly to the car park and drive up to the barrier which will recognise your car registration and raise for you. Find yourself a parking space and park up; you keep your keys in this car park so when you have your luggage you are ready to go. Top Tip: We suggest making a note of where you parked so it's quicker to find your car when you return. There is a free transfer bus which will take you to Terminal 2 in 5-10 minutes. This shuttle runs every 10 minutes, 24 hours a day. Catch the free transfer bus back to the car park and find your car; once you are all packed up and ready to go simply drive to the exit barrier. The barrier will recognise your car registration once you drive up to it and automatically raise to let you out. You car will remain where you parked it in the secured Long Stay T2 car park; below you can see the security features present at the car park. The car park has first come, first served, Blue Badge bays - you'll need to display your badge whilst you're away. All the transfer buses from this car park are also fully wheelchair accessible. If there is a delay in you collecting your car from the airport you will be charge the car parks' overstay fee which is £20 per day. If you pick your car up early we will not be able to give you a refund.